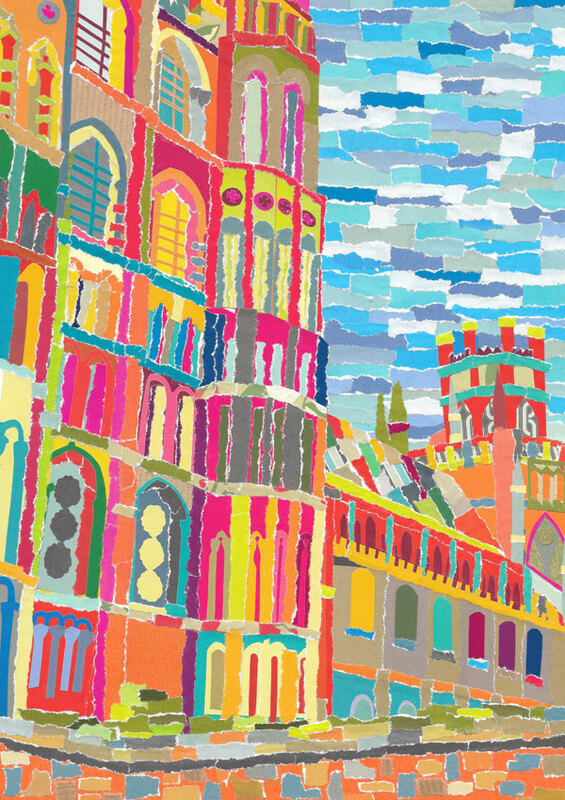 Ok, so this is the 3rd detailed hand-cut Ely Cathedral picture I have done - I admit it, I am a little bit obsessed with this amazing building. I think it's the way that it just looms up over the flat Ely landscape and loooks down on all it surveys. 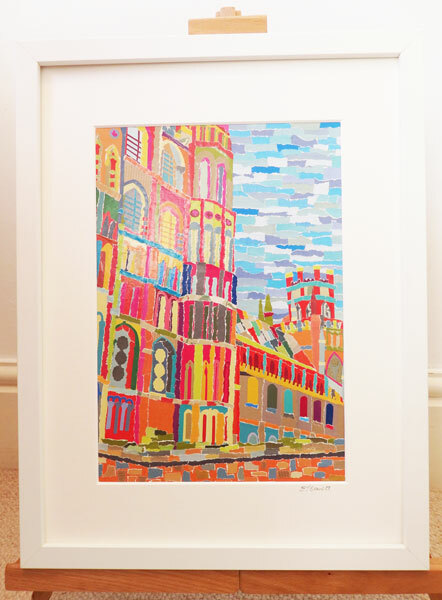 Every detail of this picture is to scale and exact to the original building, the bright colours all came from papers recycled from magazines. Every detail has been hand-cut (Using only scissors), or ripped. Professionally printed on high quality photographic paper with a high quality white mount.